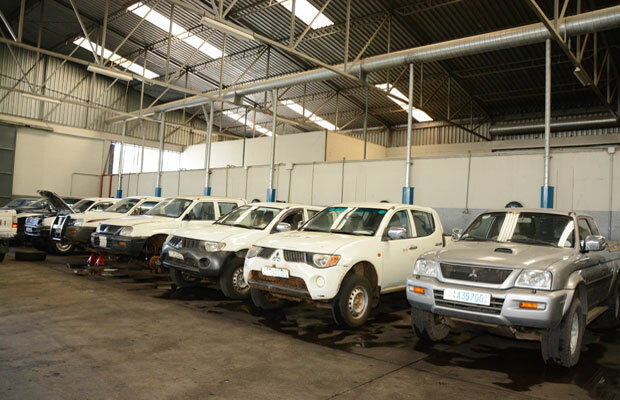 We have been performing over high quality and guaranteed auto repair at our Head Office Service center in front of the new AU building and Kality Service Center, Light Duty Vehicles (LDV) Repair work Shop located along Debrezeit road next to CRBC premise. ENITCO’s Service centers are qualified to repair and service your Mitsubishi FUSO Trucks, Buses, and Canter Trucks TCM Forklifts at our Kality Service center. Our dedicated body shop, based at Kality service center, is highly equipped to perform all body repairs to a standard and quality similar to the manufacturer’s factory and is staffed by highly qualified, trained specialists. The body shop is authorized by all of the ENITCO brands (Mitsubishi passenger cars, Light commercial vehicles and FUSO Truck and Bus) to carry out all body repairs. We are qualified to repair and service your and Mitsubishi passenger cars and light commercial vehicles, Mitsubishi truck and bus. Prompt reply shall be rendered for tuck road calls by ENITCO’s field crew. ENITCO provides regular /periodic vehicle service to fleet owner customers, at your site. (011) 4392063/80: Kality Heavy Duty Vehicle Repair Shop Customer Service.